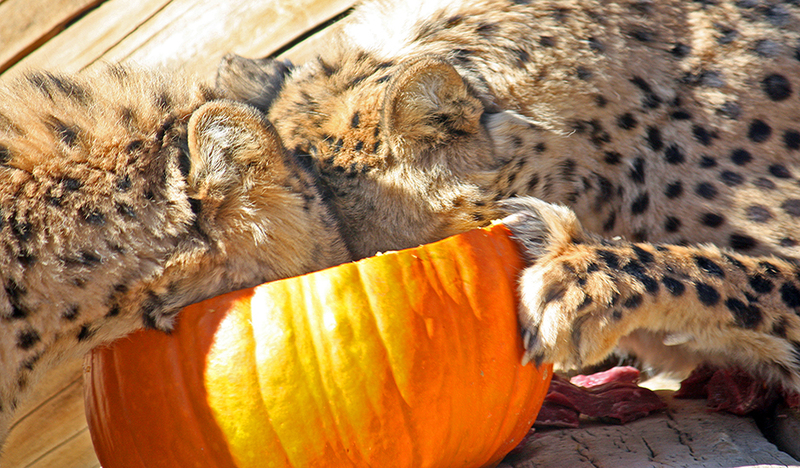 As part of our enrichment program, most of the animals will receive pumpkins filled with their favorite treats. Watch the enjoyment experienced by our predators when presented with these unique and delicious meals. Throughout the day, pumpkins will be delivered to different animals. Come spend the day; bring the camcorder…this is animal viewing at its finest! Event prices: Adults $15, Seniors (62+) $13.50, Children (3-12) $12, Children 2 and under are free. Standard Members receive 50% off these rates. Platinum Members are FREE.